Having worked on thousands of residential and commercial roofs over the last 28 years, Jarco Roofing & Solar has become known throughout the Temecula and Murrieta area for its quality craftsmanship, excellent customer service, and reasonable prices. Our services include installation of new roof systems; re-roofs; roof restorations; roof/leak repairs; roof certifications; roof inspections; and roof tune-ups. Additionally, we offer roof cleaning services that can include the cleaning of gutters, solar panels, and skylights, as well as solar power installation services. At Jarco Roofing & Solar, we've worked on Temecula and Murrieta roofing jobs of every size for all types of properties, from mobile trailers to enormous custom homes to commercial and municipal buildings. For us, no roofing repair, reroof, or new roof is too big or too small, and we can be trusted to always provide the same level of care and attention. Our work is performed by some of Temecula area's most knowledgeable and skilled installers, many of whom hold between fifteen to twenty years of experience. Our roofs not only look beautiful, but also comply with today's building and Title 24 codes, which are important for safety, stability, energy efficiency, and longevity. Locally owned and operated, Jarco Roofing & Solar is fully licensed (#800984), bonded, and insured. Our installers possess a minimum of ten years of on-the-job experience, and are supervised by staff with at least 15-20 years of experience. With their level of knowledge and training, you can rely on them to expertly inspect, install, replace, and repair all types of roofs, including custom, tile, clay, slate, shingle, flat, and shake. For a free estimate at your Temecula, Murrieta or nearby property, call today and schedule an appointment. Senior citizen discounts are available, and we accept cash, check, and credit card. Our office is open from Monday to Friday, from 7 a.m. to 4 p.m., and our job supervisors are accessible by cell phone to provide updates and answer questions throughout your roofing project. At Jarco Roofing & Solar, we excel in residential and commercial roof repair. Temecula, Murrieta, Fallbrook, and Deluz property owners can call us to schedule a free roof inspection and obtain our expert assessment and recommendations. We can do everything from small repairs (fixing leaks, dry rot, termite damage, broken/missing tiles, crumbling mortar, and more) to roof restorations (for commercial buildings) to full re-roofs, when necessary. In every case, we'll provide cost-effective solutions and help you determine the best option for your needs. All roof repair jobs are performed by roofing experts with 10 to 20 years of experience. Prior to starting work, we lay down magnets (to catch loose nails) and tarp landscapes, and will be careful to clean up when we are done. Call today to schedule your onsite estimate. We install new roofs and perform re-roofs in Murrieta, Temecula, Fallbrook, Deluz, and La Cresta. Customers can choose from a wide range of roofing materials, such as clay tiles, concrete tiles, composition shingles, slate, imitation wood shake, flat roofs, single-seam metal roofs, and more. We also do custom roof work, and can work with architects to put up any roof that they design. Our company performs roof inspections for Temecula, Murrieta, Fallbrook, and nearby residential and commercial property owners. This is typically a complimentary service. During a roof inspection, we'll check your roof for tightness and penetrations and provide an estimate on its life expectancy. This can be done when providing a project estimate or as a stand-alone service. Only if you require a written roof inspection report will there be a small fee. For Temecula and Murrieta area homeowners that are selling their house, we offer roof certifications, which are sometimes required to complete a real estate transaction. In our roof certifications, we examine the roof to ensure that no water can enter the house. A roof certification can be made for a term of one year, two years, or three years. This certification serves as a guarantee against water damage and leaks for specified time period. Schedule regular roof tune-ups to maximize your roof's life. With regular checks and maintenance, we can keep your roof in its best condition, while also catching small problems before they become big (and usually costly) ones. A clogged drain, for example, can eventually trap thousands of pounds of water. Over time, this can result in a roof cave-in -- a danger that is particularly common for flat roofs. At each maintenance/tune-up appointment, one of our experts will thoroughly examine your entire roofing system. This includes inspecting your roof for leaks and damage, and checking the tiles, flashing, and areas surrounding pipes and vents. We re-seal any roof penetrations we find, and clean out your roof and gutters. Call today to schedule your roof tune-up. Jarco Roofing & Solar offers roof cleaning services for Temecula, Murrieta, Fallbrook, and Deluz buildings. Roof cleaning can include washing off the roof itself and cleaning skylights, solar panels, and gutters. We have worked extensively with homeowners and businesses throughout Temecula and built an impeccable reputation for skilled and thorough work at a fair price. Since we work with many different kinds of roof systems, including tile roofs, flat roofs, slate roofs, composition shingle roofs, and more, we are aware of the different cleaning methods needed for each. With our roof cleaning service, you'll catch issues early on that could lead to bigger problems in the future; maximize the energy output of your solar panels; lift sagging gutters; and more. As a roof contractor with more than 28 years of experience, you can rely on us to expertly install PV (photovoltaic) solar panels at your home in Temecula, Murrieta, Fallbrook, and surrounding cities. Utilizing only top tier brands, such as Canadian Solar, Trina, Solar World, and QCell, our solar panels are typically warrantied for a 20-year period. The panels are sized to meet your home's energy usage needs, which we determine based on your energy goals, past electrical statements, and square footage of your property. Our professionals will carefully install the solar panels on top of your roof, safely and in accordance with today's best practices. We take special care to do the penetration work correctly and back them with a 10-year warranty. 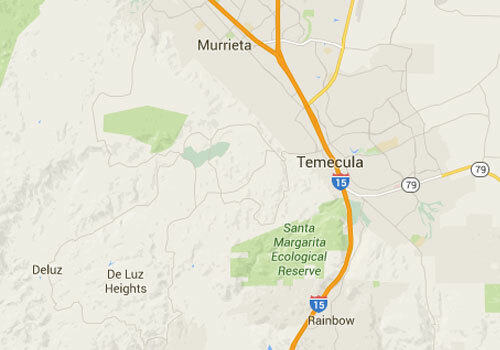 Temecula area residents have the option of buying or leasing their panels. We keep customers up-to-date on all the latest solar programs offered by federal, state, and local agencies to ensure you're able to take advantage of all applicable tax credits and rebates. To learn more, call Jarco Roofing & Solar today.